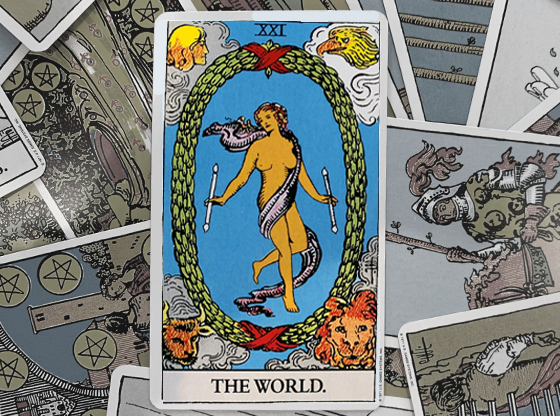 The Hierophant card is a representation of moral and social conscience. In its reversed form, it symbolizes society’s unwillingness to accept those who do not adhere to a set of social rules. People are often too quick and harsh in their judgements of other people’s individualism. Fear of change makes it hard for these social “laws” to adapt over time. 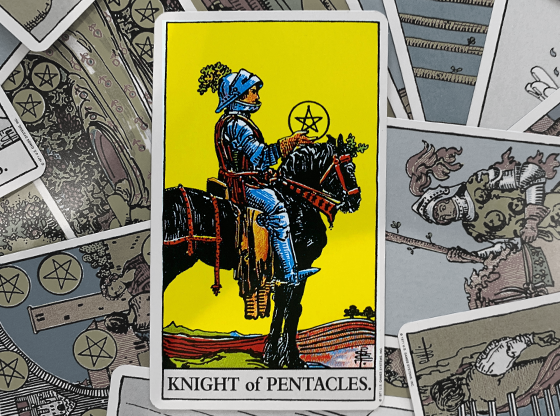 When the Hierophant reversed tarot card comes up in a tarot card reading, it is often a sign that it is time to challenge the status quo and break a few of these rules. You want to do the “right thing” but are finding yourself less sure about what really is right now. To find the answer, you have to look deep within yourself to discover your own truth. After all, the “right” thing should always be what is right for you. 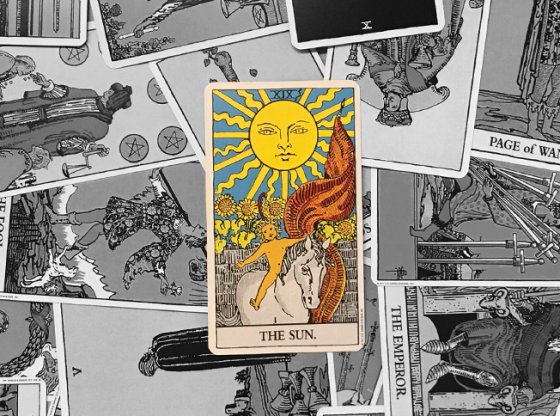 Here is a deeper look at the possible meanings behind the Hierophant reversed card in a tarot reading. It’s very easy to fly through life on autopilot, giving little thought to what you are doing. You are just doing the things you have always done or following the crowd. 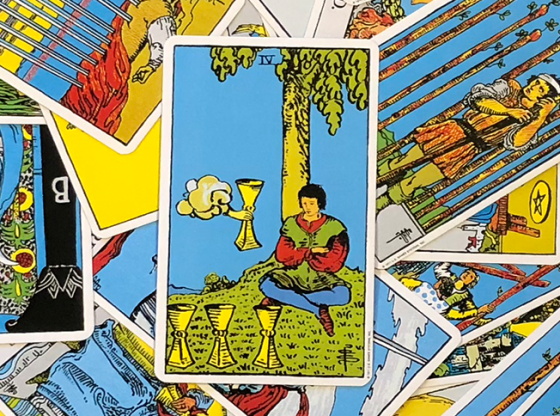 If you see the Hierophant reversed appear during an online tarot card reading, stop and ask yourself – “is my routine really right for me?” Upon reflection, you might come to realize that things may not be quite what they once seemed. It may be time to take action and change your routine. The reversed Hierophant reversed card may also represent your feelings of being trapped due to social pressure by a group you belong to or by society as a whole. While you do not agree with some or all of their fundamental beliefs, you find yourself forced to conform to their standards and ideals. This is never a good place to be and it could result in you having a conflict with someone influential in the group. Another source of feeling trapped could be caused by being stuck in your old ways. It is common to feel guilt or shame when you act in a way that is contradictory to previously long held values. This can be further amplified if these standards were part of your upbringing. But now it’s time to listen to your conscience while learning to live by your own rules. When you are able to open your mind, you will expand your horizon and enjoy new possibilities. The reversed Hierophant card may also be a representation of a leader who rules with an iron fist. This person could be a father figure in your life, your boss, or even a religious leader. This leader forces those below him to conform and follow his rules. You might find yourself ready to question his authority. However, because of his position, you may have no choice but to follow his lead at this time. But watch out, because it is likely he will soon find himself caught in a scandal or disgraced. At work, you might find yourself surrounded by people who seem to have it all together. Perhaps you’ve even received some good advice from a mentor. 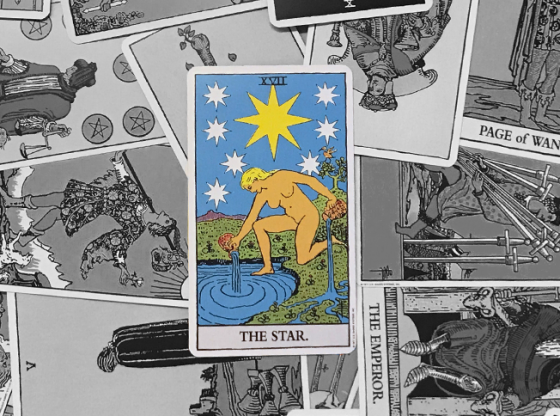 But no matter how good things may seem to be on the surface, the Hierophant reversed reveals that you’re feeling a need to challenge the system. Stay true to yourself. It may be time to accept that you do things a bit differently. You can professionally agree to disagree. This card could also indicate problems when working on a group project. Everyone else seems to be at a consensus and there is pressure for you to go along with it. But this decision conflicts with your personal beliefs regarding how the situation should be handled. Take a step back and evaluate whether it is best to push your ideas or let this one go. You might find yourself tired of the “same old, same old” in your relationship. You’re ready to try something different from your usual routine. You might even want to break social traditions, such as choosing to not get married or abandoning traditional gender roles. The reversed Hierophant card encourages you to try some new things, but also serves as a caution to take it slow. You might cause problems in your relationship if you push too many changes on your partner at once. 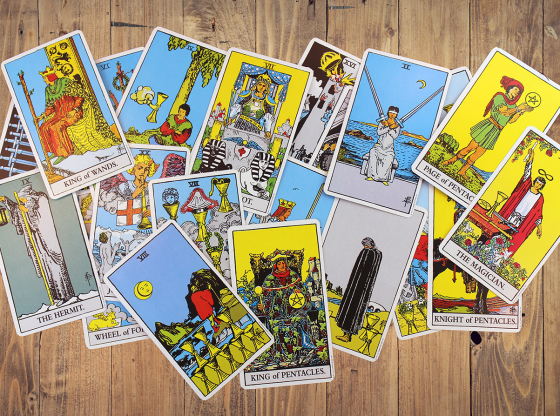 Another possible interpretation in a relationship reading is that your partner and you are no longer on the same page regarding your goals and values. This leads to conflict between you and feelings of insecurity in the relationship. Try to understand where your partner is coming from so you can find a compromise. You need to find the middle ground where neither of you is pushed too far outside of your comfort zone. 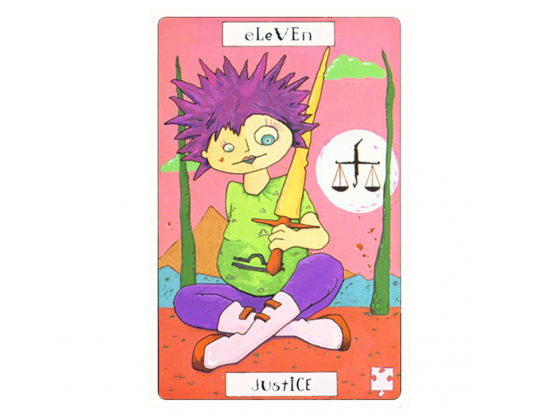 Get a love and relationship reading for additional insights about your situation. Healthy habits are a great thing. But sometimes you need to change up your regime and try something new. Go experience something that you never would have tried before – like taking a dance class or beginning to train for a marathon. You might just find a new passion when you step outside of your comfort zone. When it comes to finances, the Hierophant reversed card is an indication that you should only engage in things that are stable. Now is not the time to gamble or invest in risky stocks. Instead, stick with conservative investments. 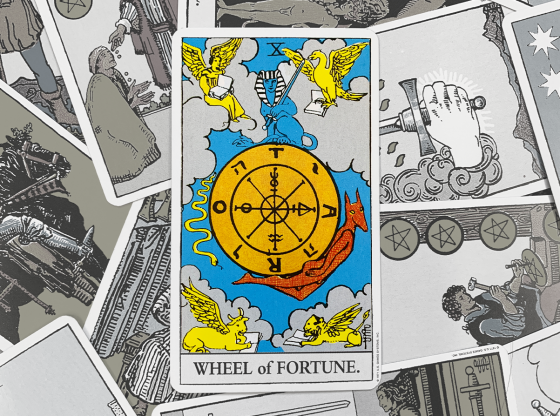 You might want to talk to a financial psychic about your situation. 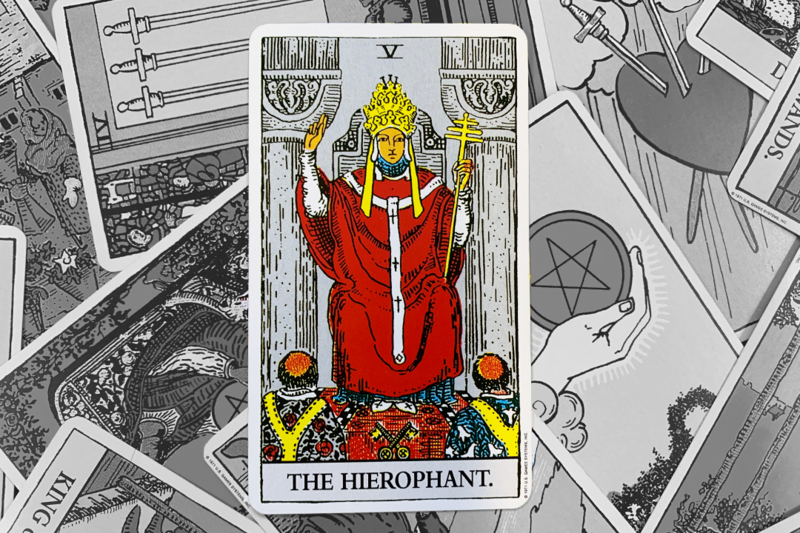 The Hierophant reversed can serve as a reminder to reconnect with your spiritual side. Set aside time regularly to connect with your spiritual side. Let go of traditional beliefs that no longer serve you. Remember that spirituality is a personal experience. Every person’s journey is unique. You must explore different paths in order to discover what works for you. Once you discover peace within, you will have a better outlook and see positive changes in your life. Searching for answers to what’s the right course of action for you? 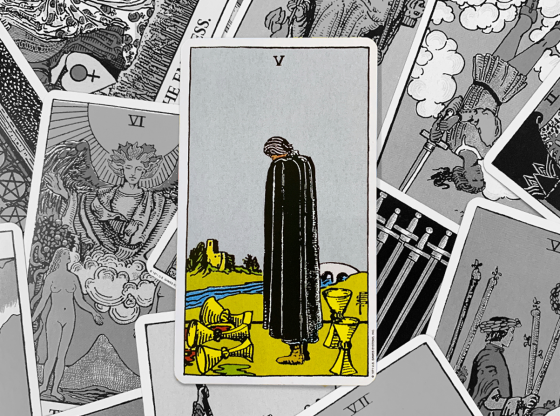 An online tarot card reading from Keen can help provide the clarity you are looking for. Every reading comes with a 100% satisfaction guarantee. 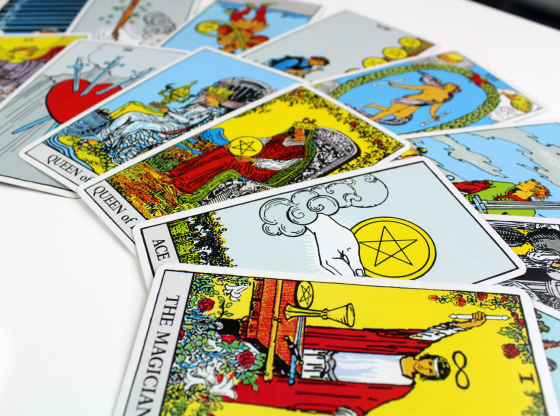 Call, chat, or email with a Keen psychic advisor today to find out what the cards have to say about your life.